In 1988, when Elisabetta Foradori produced her first vintage of Foradori Granato, things were different than they are now. She was 21 and had only taken the reins of her family vineyard two years earlier. 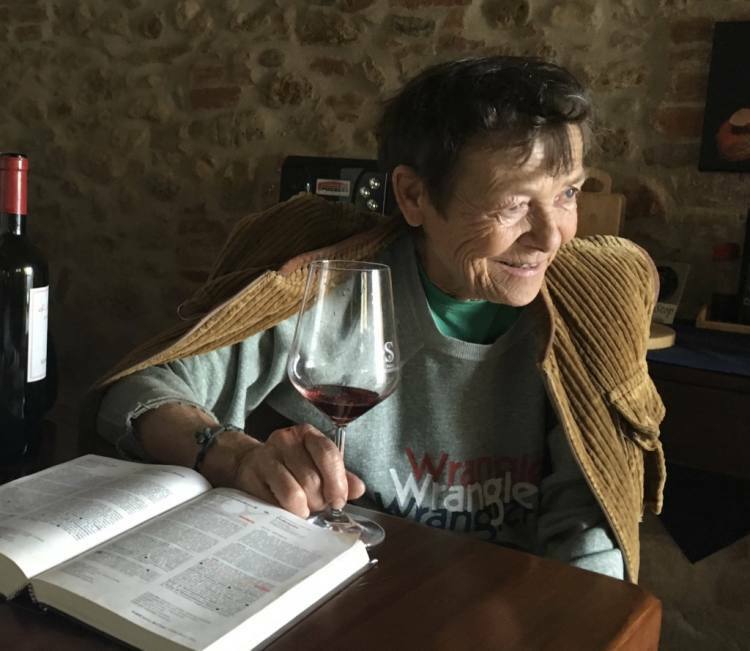 Her local grape variety, Teroldego, was known for making “quantity-not-quality” co-op wine that was either sold in bulk or for a few euros a bottle in supermarkets. 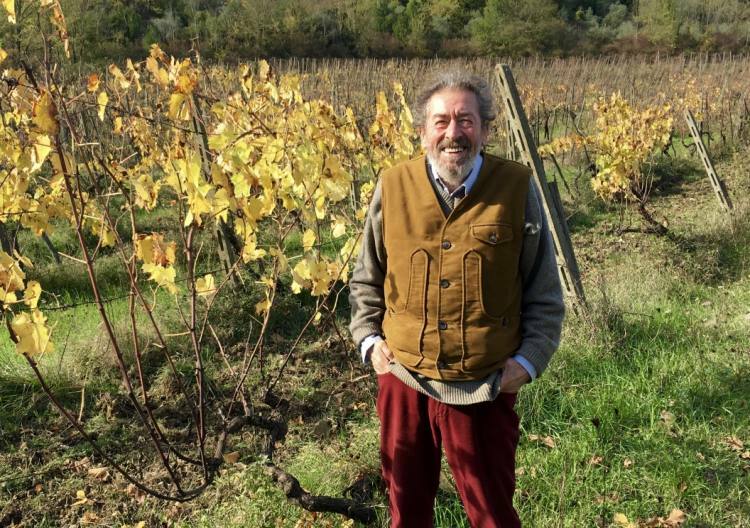 And her Granato had to to compete with international varieties like Cabernet Sauvignon at a moment when Robert Parker and his 100-point scale were taking the international wine market by storm. But Elisabetta knew that back in the time of the Austro-Hungarian Empire, Teroldegos from her area had been the favorite wines of the Emperor Franz Joseph and the Court. She did research in her vineyards, identified 15 “quality” clones and boldly set out with her 100% Teroldego Granato. Thirty years later, over 200 friends and colleagues arrived to celebrate Foradori Granato, which has earned a worldwide near cult following. The front of the house and winery was festooned with a banner and a long, table set in the vineyard. Before dinner, guests chose among five presenters, all friends and colleagues of Foradori. Elena Pantaleoni of La Stoppa, who spoke about making terroir wine for 30 years. 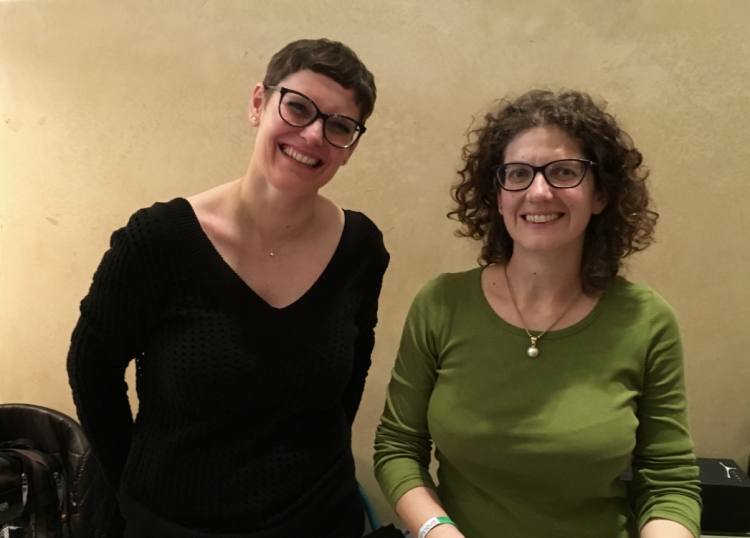 She is pictured here (right) with Elisabetta. In her presentation, Elena talked about how their paths have been parallel. Both were young when their fathers passed away. Both had mothers, who kept the vineyards going for a while, then, turned things fully over to them. Both lived in areas where their native grape varieties were thought to be less than noble. 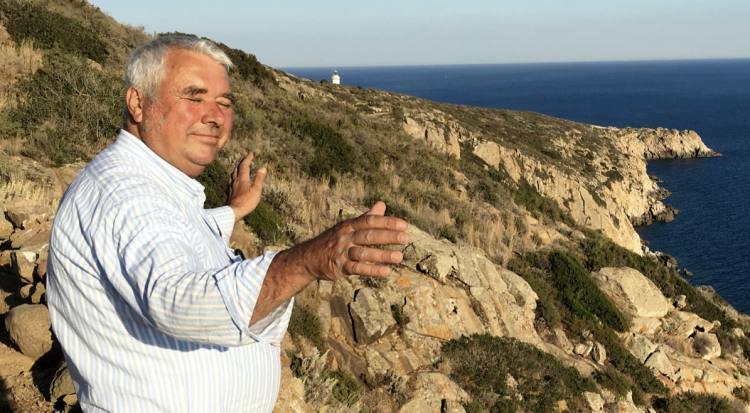 Both risked their family estates on a commitment to making wines with those native varieties in a way that allowed the grapes to express the uniqueness of their terroir. Elena noted that when they started in the eighties, wineries were madly competing for Parker points and adopting industrial vineyard and cellar methods. She and Elisabetta were not. Now, being “natural” is becoming all the rage. 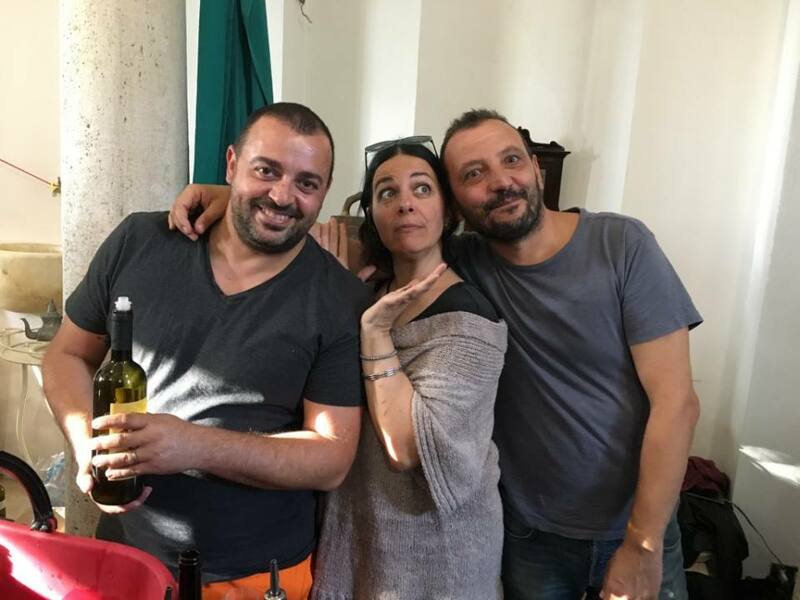 Elena doesn’t like the term “natural” wine because in her way of thinking, her wine should be called “wine” while wine that has been made industrially should be called “industrial wine”. 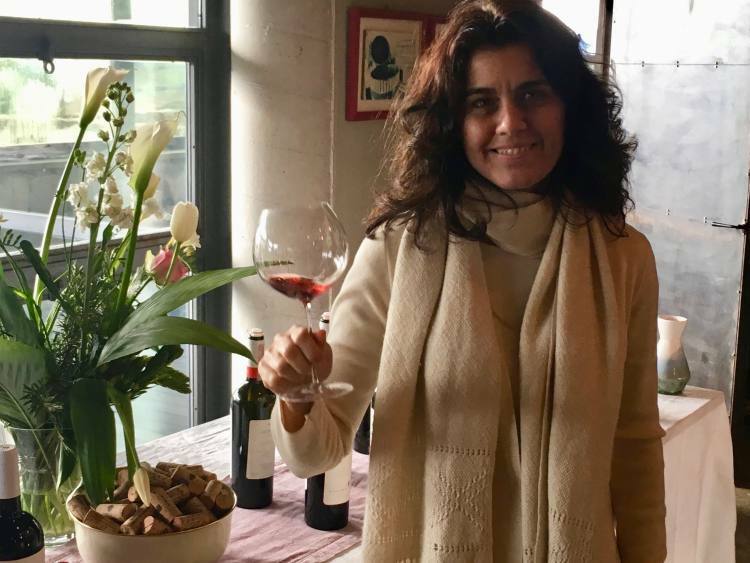 Before dinner, Elisabetta stood with her four children and spoke about her journey with the vineyard, especially the process of embracing biodynamic agriculture. And she gave thanks for all who have helped her along the way in what she called “my voyage of transformation”. 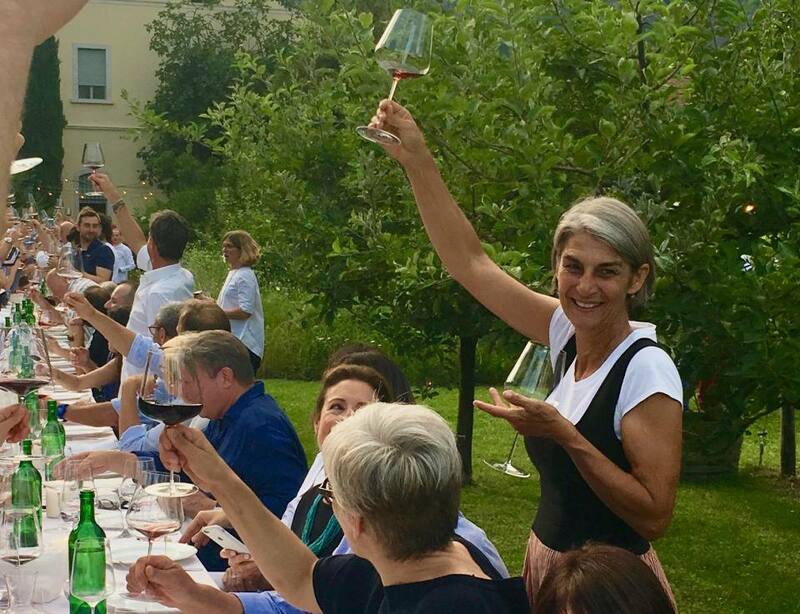 We all walked out to the vineyard to find places at one long table that symbolized continuity, community and connection. The grape bunches were just filling out on the Foradori vines. Magnums of vintages stretching back to 1988 were set out for tasting. It was an honor and a pleasure to taste the vintages going back 30 years. The bright ruby red of newer vintages contrasted with the brickier color of older ones. There was a common thread running through, but each vintage had its own personality and characteristics. From our seats, we watched the sun setting over the steep mountain walls that hold the Foradori vines as if in a soft embrace. The toasting and celebrating went on long after dark. To her Granato and also to her amphora wines. To her leadership in the wine world and the humble way she works with Nature. To the community of family, friends and colleagues she has nurtured around her. Beautiful description and photographs of a lovely evening with old and new friendships. I hope to sit at a table like that some day!